Huawei Enterprise Never Left The US Market — The Peering Introvert – Huawei is still in the US Market, just keeping a low profile at Interop New York….. Welcome to Launch Center Pro – Contrast Tech Support – Launch Center Pro is one of the my favourite tools for the iPhone got a major update. Pretty happy about the changes so far. 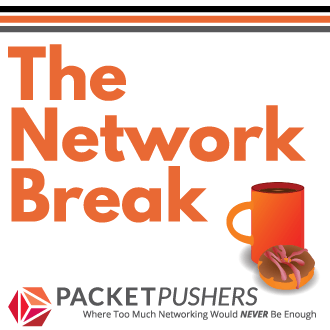 TTI Content, Now Online at Packet Pushers – PacketU – Thanks to Paul for sharing this great content with the community. Ethan and I want to see good content get read and shared by people. 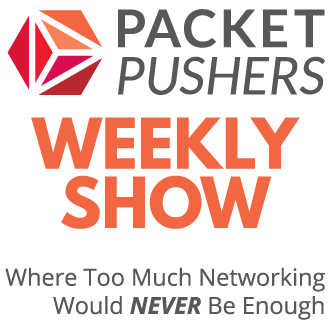 If you want to get more feedback and excitement, please join the community at Packet Pushers. If you are going to shutdown your blog, then contact us and we will look to import your content (in your name!!) so that it lives on. OpenStack Quantum (Neutron) Plug-In: There Can Only Be One « ipSpace.net by @ioshints – In this article, Ivan talks about one of the worst limitations of the OpenStack architecture where only one network plugin in the Neutron architecture is possible. The comments are well worth reading as OpenStackers respond about future directions, there is some hope. You see, the major problem the Quantum plug-in architecture has is that there can only be one Quantum plugin in a given OpenStack deployment, and that plugin has to implement all the networking functionality: layer-2 subnets are mandatory, and there are extensions for layer-3 forwarding, security groups (firewalls) and load balancing. As always, keep reading Ivan’s blog. Cisco Inferno » Why does SDN have more traction than IPv6? – Anthony wonders why SDN gets more ‘airtime’ than IPv6. I’d point out the IPv6 got a LOT of airtime in mid-2000’s and most people are tired of hearing about it. VERY tired of doing nothing about it too. Researchers have found similar effects with adolescents and adults. When students were asked to write for a real audience in another country, their essays had better organization and content than when they were writing for their teacher. When asked to contribute to a wiki—a space that’s highly public and where the audience can respond by deleting or changing your words—college students snapped to attention, carefully checking sources and including more of them to back up their work. Brenna Clarke Gray, an instructor at Douglas College in British Columbia, had her English students create Wikipedia entries on Canadian writers, to see if it would get them to take the assignment more seriously. She was stunned at how well it worked. “Often they’re handing in these essays without any citations, but with Wikipedia they suddenly were staying up till 2 am, honing and rewriting the entries and carefully sourcing everything,” she tells me. Adobe To Announce Source Code, Customer Data Breach — Krebs on Security – Enterprises running Adobe software, especially Acrobat and Reader should be very concerned. All types of theft are possible when you have the source code. Doubtful that Adobe will suffer any business loss, the last five breaches hasn’t slowed down their business at all. At work, we’ve been getting ready to deploy a few different cluster technologies. One is a set of KVM hosts to offer VMaaS functionality to end users. Another is a CEPH cluster (http://ceph.com/) which is smart distributed storage. The third is a Hadoop cluster. Each of these initiatives popped up around the same time and each had a slightly different set of networking requirements. The VM cluster needed a high level of redundancy as well as separate network connections for storage vs. VM data traffic. The CEPH cluster just needs solid 10G network connectivity since the redundancy is handled by the distributed nature of the system. The Hadoop cluster was kind of in the middle.